We’re awarded but one earthly life. There are no promises or guarantees, especially when it comes to length of stay. So why would we waste time trying to alter the likely unchangeable, being who we aren’t and suffering as a result? Incidentally, are you living life in the key of you? And if we don’t take into account the notes and chords within our chosen life key, or maintain a grip on how we’re intended to sound, we’re going to have major problems. The music connection feels right. The key of a composition is a set of rules, if you will, for its playing. 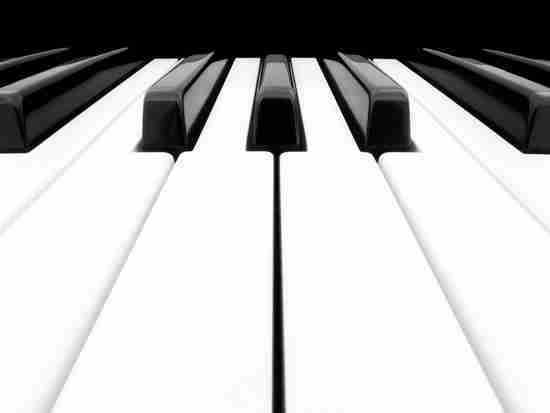 Knowing the key of a piece, the musician has a heads-up as to where the note and chord action will be, as well as how the composition is meant to sound. So without a key, the intended expression of the music is jeopardized, which would ruin the musical experience for the listener. And isn’t that the way it is for those of us living with a mood or anxiety disorder? If we have no idea as to our life key, or ignore it, we’re compromised when it comes to playing the right notes and chords. And that ruins everything. Marti has epilepsy. The cause? Well, she and her doc have no idea. However, since she has no history of head trauma, brain disease, etc., her disorder is likely genetically influenced. It took some work, but Marti understands that the overlay of epilepsy on her life isn’t going anywhere. So she has to live in the key of, well, her. And that means using medicine, managing stress and sleep, and doing anything that will keep her seizures at bay. It doesn’t mean wasting her time on the elusive “fix,” while losing focus on her management tasks – her notes and chords. Marty has major depressive disorder. The cause? Well, he and his doc have no idea. However, since he has no history of family of origin issues, trauma, etc., his disorder is likely genetically influenced. Since he never worked at it, Marty doesn’t understand that the overlay of depression on his life isn’t going anywhere. So he refuses to live in the key of, well, him. And that means he doesn’t use medicine, manage stress and sleep, and doesn’t do anything that will keep his depression at bay. It doesn’t mean he isn’t wasting his time on the elusive “fix,” while losing focus on his management tasks – his notes and chords. Does that bring home the notion of living within our life key? Let’s spend a little time on the “overlay” factor. Always keep in mind, many of us have multiple overlays. For instance, it may seem like Marty’s only overlay is major depressive disorder. But what if he’s also dealing with an anxiety disorder? Or what if he’s struggling with something more pervasive like a personality disorder or being somewhere along the autistic spectrum? Each are overlays that Marty has to consider when he decides to establish his life key. It’s the very same for us. And if we don’t take into account the notes and chords within our chosen life key, or maintain a grip on how we’re intended to sound, we’re going to have major problems. “Geez, Bill, where do you get this stuff, anyway?” Well, I’m a lifelong anxiety disorder sufferer with the occasional dysthymia tossed-in for flavor. And being in my seventh decade, it’s been a ride. I gained insight into my multiple overlays, some leaning toward the pervasive, quite some time ago and came to the conclusion that most of them wouldn’t be going anywhere. There was no doubt what key my life needed to be in. And I knew if I didn’t adhere to the corresponding note and chord rules, I’d live in misery. Yes, we’re awarded but one earthly life. So why waste time being who we aren’t and suffering as a result? Are you living life in the key of you? Please peruse hundreds of Chipur mood and anxiety disorder titles. Pretty sure you’ll be glad you did.